Whenever I listen to a split cassette the first thing I like to do is think about how the two artists involved relate to each other. Are they the same or different? Are they too different to be on the same split cassette or are they so similar that it sounds like one artist and the second artist should be the album title? 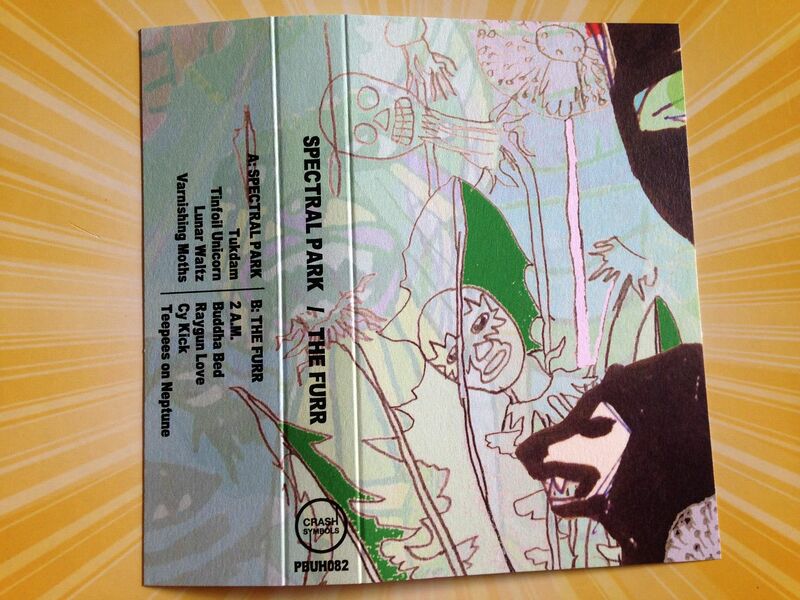 These are the questions I think about and I even had a system once for defining splits as such in a much shorter manner but all of that seems to be thrown out of the window when I listen to this Spectral Park and The Furr split cassette. Though, at least I can still do my normal "type about the first artist in the first paragraph and then the other artist in a new paragraph" deal. On the flip side of this we have The Furr who live up to every sense of the idea of naming your band The Something (The Strokes, The Vines, The Hives, etc.) Now here is where it gets tricky. For all of their sounds with guitar solos that could be surf and other such rock n roll qualities The Furr provide a sound that you must assume is being made by at least three people, maybe even more. 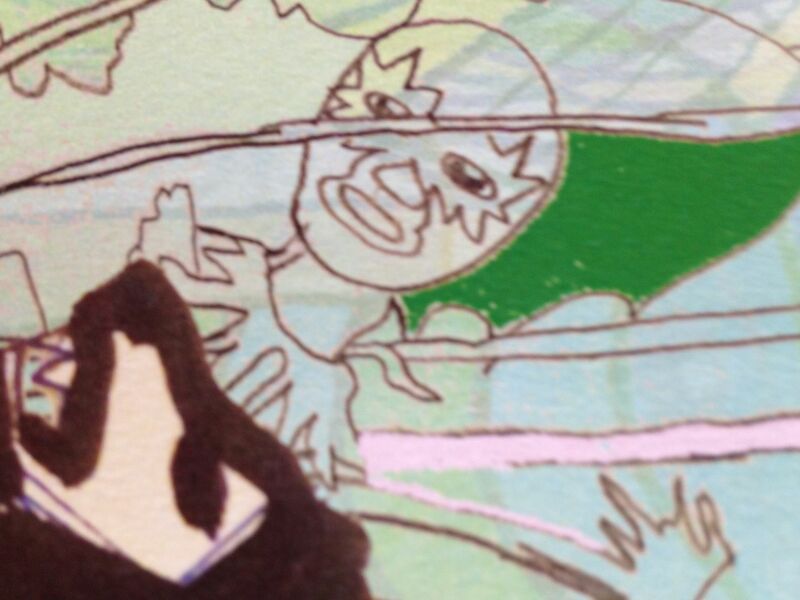 Now I can't say that for sure though because the first side has me all mixed up and now I'm thinking maybe this *feels* like the work of a full on band but perhaps it is the work of only one person. I'm so confused but I like it. 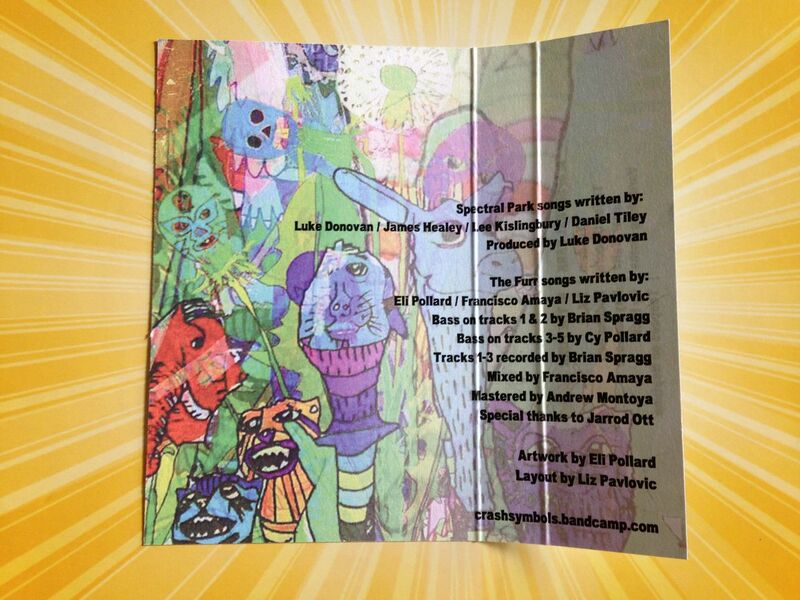 In any event, the music is for fans of screechy rock n roll with fuzz. It doesn't sound too much like any other bands out there though, except for the vague term of rock n roll applying to it, as sometimes the vocals can take on a higher pitch and at other times still they feel as if they are being breathed out through the corner of the lead singer's mouth. It's just something that has that familiarity to it and yet at the same time doesn't really sound like anything else. I feel like if you like the Ramones (And who doesn't) you'll like The Furr, but they really don't sound that close but just have that similar vibe somehow. Now here is where things get a bit complicated for me. I'm not sure if anyone else can hear this or if it's only me, but I feel like there is a connection which needs to be made. Have you ever watched a show like "Whose Line Is It Anyway" where they can take a song and turn it into a variety of different styles? They'll have the same melody playing on a keyboard in the background and yet Wayne Brady or whoever will sing in a style that can range from death metal to reggae. 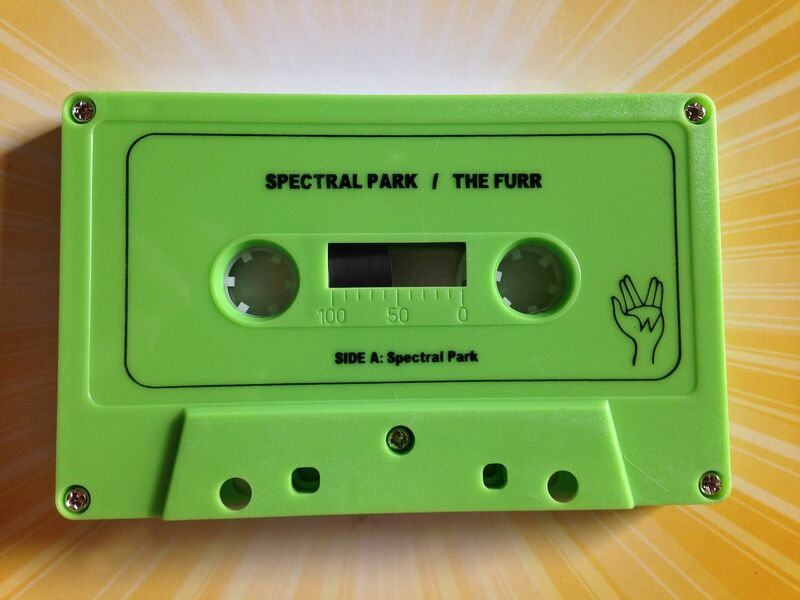 I feel like on some level the songs on Side A by Spectral Park can be classified as "electronic fused rock" and then they can be turned into flat out rock n roll on Side B by The Furr. I'm not saying that either artist is taking each other's songs and playing them in a different genre (and saying who covered who would be a chicken-egg thing) but they do have those underlying similarities where if you listen closely enough- and enough times- you can begin to pick out these little pieces that feel so similar. 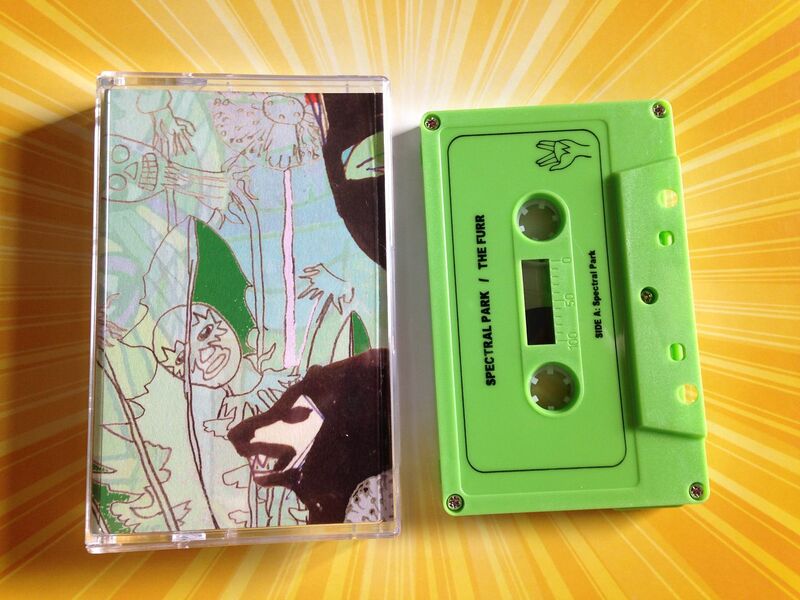 That's perhaps what makes this split cassette so brilliant. On the surface you have two artists at the head of their respective classes. Both can rock and get you moving, but one is electronic, playing for a certain crowd while the other is rock n roll, playing for a different crowd. 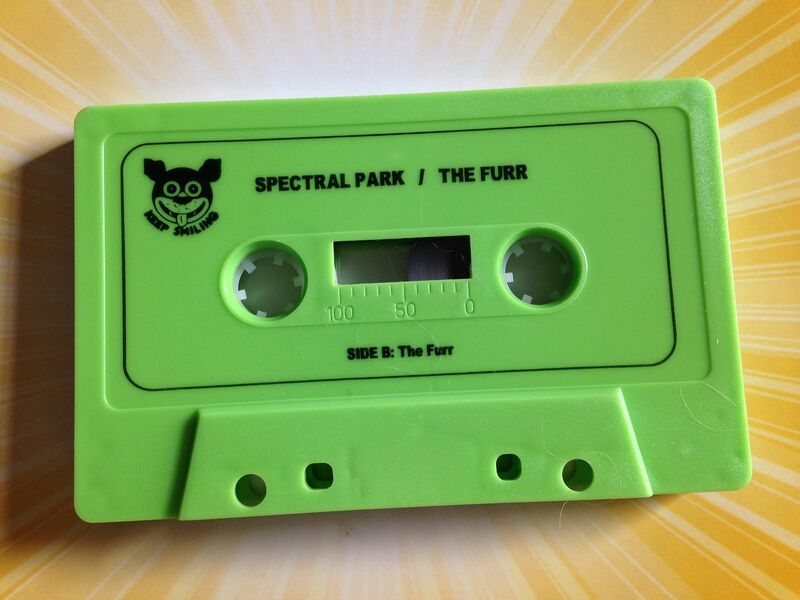 Spectral Park is instrumental while The Furr has such distinguishable vocal patterns. They feel like such opposites of each other and yet I still feel as if these little bits of source code are hidden in certain songs to the point where you can eventually hear them and realize that these artists are not that different after all.